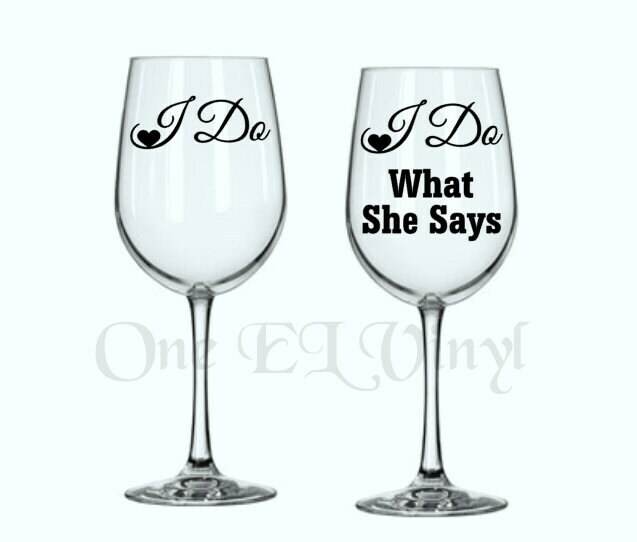 Set of 2 decals for DIY wine glasses. 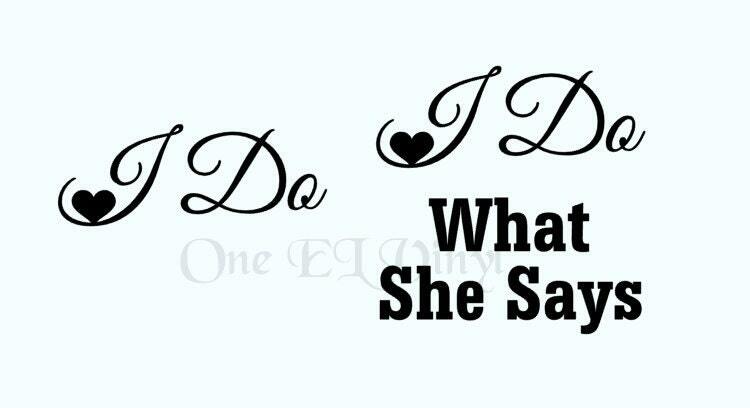 One decals says "I do" and one says "I do what she says"
I DO - 3" X 1"
I DO WHAT SHE SAYS: 3" X 3"
Please measure your glasses to be sure decals will fit. I can adjust the size for you if needed. 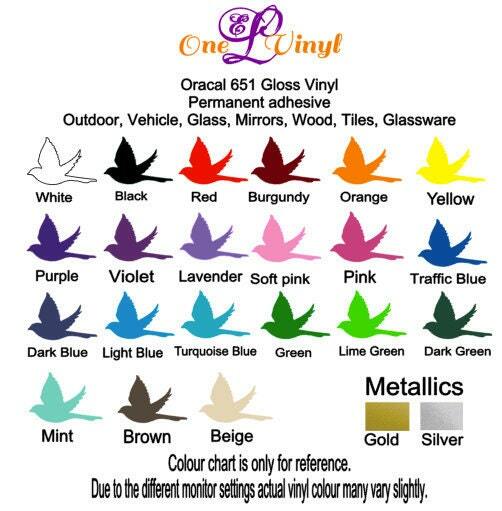 COLOUR: Please see picture #3 for colour reference chart and choose your colour from drop down menu. Your decals are precision die-cut on a professional vinyl plotter using high quality Oracal 651 vinyl. Apply to clean, dry, smooth surface. Glasses with decals applied are hand wash only. They are not dishwasher safe. This listing is for the Decals Only. Any glasses shown in pictures are not included. Processing time is 3-4 business days unless otherwise stated in the Shop announcements. Processing time does not include delivery time, Delivery time depends on your location. Standard shipping does NOT include a tracking number. For tracking a shipping upgrade must be purchased at checkout.